The 2015-16 NBA Trade Deadline, one that had explosive potential, came and went without a major deal in sight. But some trades did go through so let’s look at those deals and what they mean for the playoff picture and the league at large. The Cavaliers are the only team with any sort of title chances who made a move today, and that makes their acquisition of Orlando Magic Forward Channing Frye the most significant transaction of the day. 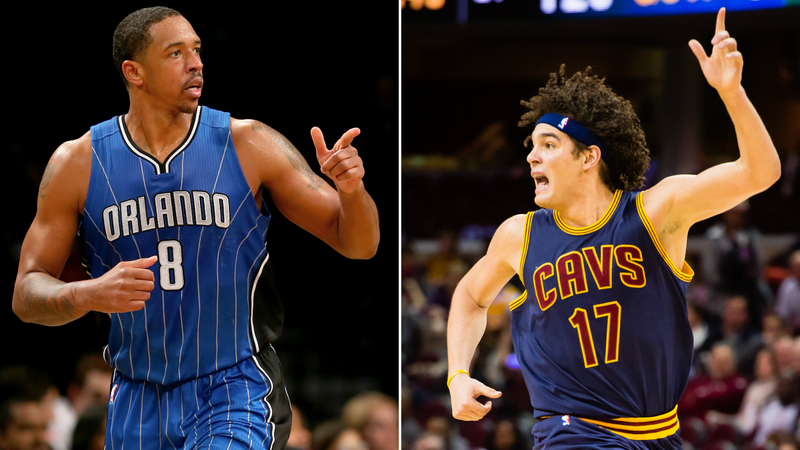 They sent Anderson Varejao and a conditional first round pick to the Trail Blazers as part of the three-team deal. Frye provides Cleveland with frontcourt depth behind Kevin Love at the 4 position and fills out a rotation of bigs already featuring three good pieces in Love, Tristan Thompson, and Timofey Mozgov. Thompson and Mozgov are both very good players, but the two of them playing together can cause spacing problems for the Cavs offense. Even though the Cavaliers still cannot find proper use for Love in their offense, his three point shooting creates space in the middle for LeBron James and Kyrie Irving to be effective driving to the rim. Bringing Frye off the bench with either Thompson or Mozgov will maintain that space for Cleveland’s playmakers. Varejao was not helping the Cavs much this year, and adding Frye will make the Cavaliers a more formidable postseason offense. General Manager Doc Rivers continues to do Head Coach Doc Rivers very few favors. 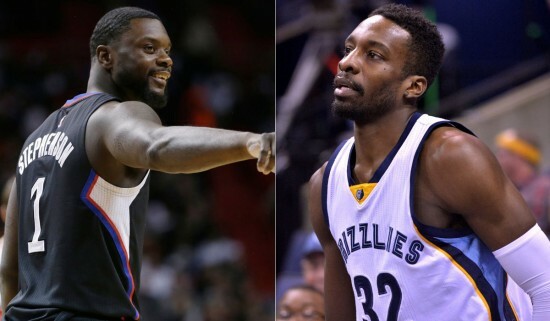 The Clippers sent doghouse Guard Lance Stephenson and a future first-round pick to the Memphis Grizzlies for Forward Jeff Green. Labeling this the “worst trade” of deadline day might sound harsh because it is a far cry from many apocalyptically bad deals we’ve seen before. But, on an uneventful day of uneventful deals, this one takes the poop-flavored cake. It’s understandable to a certain degree. Chris Paul will turn 31 this postseason. Blake Griffin and DeAndre Jordan are in their primes now. If this collection of players is ever going to have a title window, that title window is open right now. The Clippers do not have assets to acquire a league landscape-altering player that aren’t named “Chris Paul”, “Blake Griffin”, or “DeAndre Jordan”. Doc needs to be in a win-now mentality, and upgrading from Stephenson to Green is a win-now move. Having said all that … whyyyyyyyy? Jeff Green is “Just a Guy” incarnate. Having him on the Clippers bench does not move the needle for them one iota. They entered deadline day as the clear 4th-best team in the West and they emerged as the clear 4th-best team in the West. Doc is right to think that if this group of players is ever to win a title, it needs to happen now, but the Clippers are what they are: a very good team that has no chance whatsoever of emerging from the West. On a day where premium players were apparently unavailable (except for Dwight Howard; more on that later), shopping Blake Griffin would have made a lot of sense. The Paul-Griffin-Jordan Clippers are not winning a title. Breaking up that trio would have incensed the fan base, but it also would have made more sense than giving up a future asset to make the upgrade from Lance Stephenson to Jeff Green for right now. The title window was closed 24 hours ago and this trade didn’t open it. 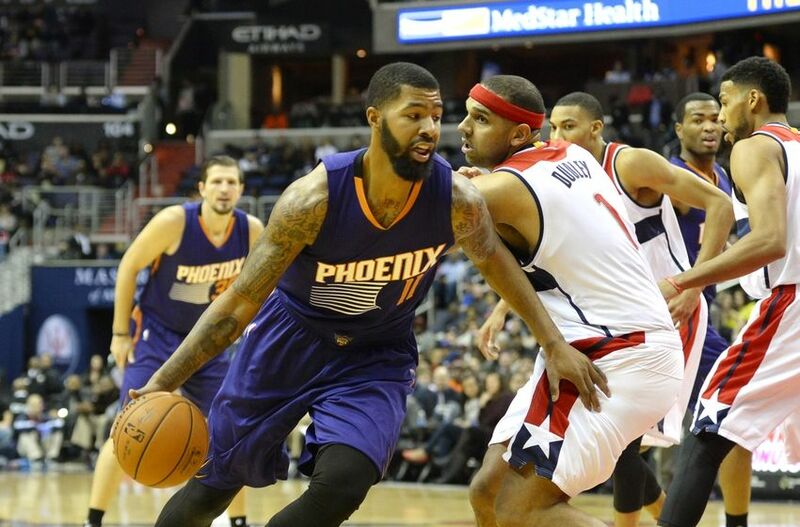 The Wizards traded a top-9-protected first round pick, Kris Humphries, and DeJuan Blair to Phoenix in exchange for out-of-favor Power Forward Markieff Morris. Morris has spent this season pouting, but it’s hard to fault him for that after he and his twin brother signed team-friendly deals to stay in Phoenix and play together only for Marcus to be traded to Detroit quickly thereafter. It’s a move that makes immediate sense for Washington. Morris is a true stretch Power Forward that fits well into the offensive transition Washington is trying to make to smaller lineups. In the absence of the injured Alan Anderson, Washington has had to make do all season with Jared Dudley logging huge minutes at Power Forward and the defensive returns have been predictably bad. Morris’ size and bulk will be a big defensive upgrade from Dudley and will still allow Washington to go small in an attempt to maximize John Wall’s ability to create open looks for his teammates. At the same time, this reeks of a panic move for the Wizards. It’s still unlikely that they’ll be able to rebound to qualify for the Playoffs and even if they do, they will be a low seed who will be overmatched in the first round, even with Markieff Morris. Bear in mind that that’s what it will look like if this trade pays off! If it doesn’t and the Wizards still miss the Playoffs, they’ll almost certainly be giving up a lottery pick. General Manager Ernie Grunfeld’s draft history is very poor, so it’s entirely possible that the surrendered pick would have been useless anyway, but the fact remains – this is a team that has won a first round playoff series each of the last two seasons and is looking to make the jump from ‘Playoff Team’ to ‘Legitimate Contender’. The idea that the way to do that is to give up future assets for short-term incremental improvements in order to make the playoffs for its own sake is questionable. Houston remains a glorious mess that is just too talented to go away quietly. The names on the roster demand attention, yet this team is still bungling away below .500 in a season where nothing makes sense. Head Coach J.B. Bickerstaff now has to find a way to get a hold of an impossible locker room situation. He gave the Rockets an incredible vote of confidence when he described the team on the record as “broken.” He needs to draw focused performances from a notoriously unfocused player in Dwight Howard who knows via various press leaks that the Rockets were actively shopping him on deadline day. Trevor Ariza and Patrick Beverly are in the same situation. Meanwhile, James Harden, who is at least having a very good season on the offensive side of the floor, has to motivate himself and his teammates to gut it out for the right to get annihilated by Golden State in Round 1 even though, by all indications, General Manager Daryl Morey has already decided that this iteration of the Rockets is going nowhere. Keep an eye on Houston for the remainder of the season. This situation is very ugly and it could get worse. The Western Conference’s other piece of abstract art that you have to squint at for a while before you recognize it as a professional basketball team is in Sacramento, where the Kings continue to waste their time with one of the NBA’s most gifted players. BOOGIE!!!!!!!! is still being forced to captain a rudderless ship: the worst possible situation you could craft for him to be successful in. They don’t really have the assets it would take to pull off anything of grand significance, but Sacramento is a circus and they emerged from the trade deadline having made no attempt to change that. Put some feelers out for Rondo and hope that other organizations don’t recognize that he’s assists and nothing else. Unload some of your green guys like Ben McLemore who have no hope of developing under your tutelage for some proven vets who know what success in the NBA looks like. Do something. 1 – NBA Front Offices are generally getting smarter. There have been many years when Jeff Green for Lance Stephenson and a first round pick would have gone mostly unnoticed because “HOLY CRAP, THE KNICKS JUST TRADED 5 OF THEIR 6 BEST PLAYERS FOR CARMELO ANTHONY?!?!?!?! ?” But this uneventful day happened for good reasons. 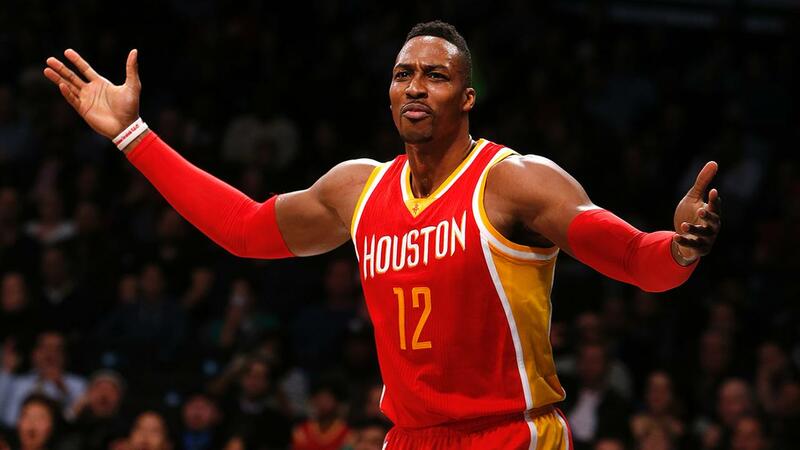 As much of a mess as Houston has been, Dwight Howard remains one of the NBA’s best Centers. The fact that he was being aggressively shopped and Houston could not find a team that was willing to meet their price speaks volumes. Do not pretend that there aren’t teams out there who would be improved by adding Dwight. This pattern of teams placing greater value on their internal assets should continue. The days of fun deadline days may soon be behind us. 2 – The NBA is self-aware. Nothing, absolutely nothing, happened yesterday or the day before that alters the upcoming postseason one bit. The one possibility is that Washington getting the true stretch 4 that they’ve needed all year may just be enough for them to make a run at the 8 seed, where they’re just 2.5 games back with 30 games to go. But no one from seeds 4-8 in the Western Conference making a bigger splash than Doc Rivers making the negligible upgrade from Lance Stephenson to Jeff Green says a lot about how GM’s view this season. That is, that no one in the East has a prayer of beating Cleveland in a playoff series, and the Warriors, Spurs, and Thunder are the only teams that could theoretically make it out of the West. T-minus 57 days until postseason basketball. We’ve been a bit negligent in our NBA coverage of late. Blame the NFL playoffs. But, there will be much more to come for the remainder of the NBA season, so keep checking back. Thanks for reading and enjoy the rest of the season.